A part of the United Kingdom and the island of Great Britain, Wales is a beautiful country which is bordered by the Bristol Channel and the Irish Sea on two out of three sides. When planning a trip to the UK, Wales often gets overlooked for more popular places such as London or Scotland. Don’t make that same mistake as Wales is filled with amazing things to see and do, and along with it, some amazing places to stay. Llangoed Hall is an amazing Wales hotel that is committed to exceeding guest expectations with a team of dedicated professionals and above-par hotel amenities. The elegant and historic country house hotel is situated in the heart of the Welsh countryside, in the beautiful Wye Valley. You’ll have the quintessential Edwardian country house experience in an accommodation that was once believed to have been the potential site of the first Welsh parliament. There are 23 charming bedrooms to choose from, each of which have been individually designed to truly bring out the character and charm in each space. 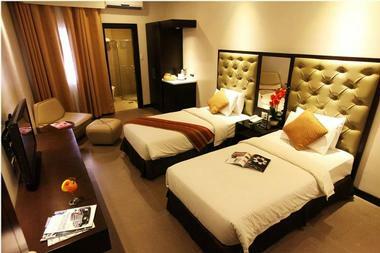 Room features include comfortable beds, complimentary tea and coffee, and a selection of fresh fruit upon your arrival. 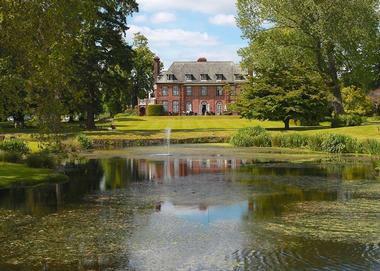 Bodysgallen Hall & Spa is a beautiful hotel that is housed amidst 200 acres of lush, secluded parkland. You’ll be able to experience all of the best of country house hospitality while enjoying spectacular views of Snowdonia and Conwy Castle. Unique features of Bodysgallen Hall & Spa include a walled rose garden and beautiful gardens which house a rare 17th century parterre of box hedges. There are 31 rooms and suites, fifteen of which are located in the main house and 16 individual cottages which are scattered across the grounds. The Hall Cottages are a popular choice and have a secluded garden, separate sitting room, Floris toiletries, and much more. Lawton Court Hotel is a four-star guest accommodation which has gained many recognitions over the years including ‘Value for Money’ in the Travellers Choice awards by TripAdvisor. 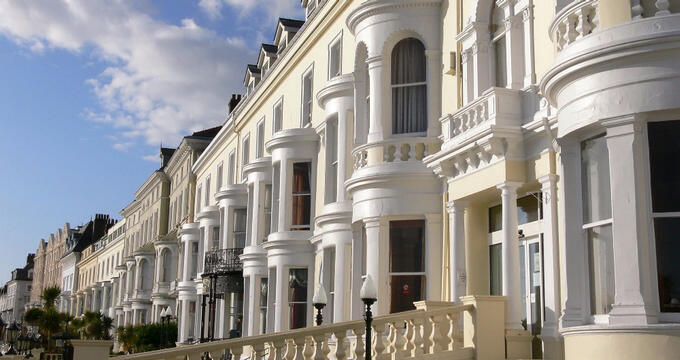 The hotel is housed in a beautifully-restored Victorian town house that has a seafront location opposite the Llandudno Promenade. It is a family-operated hotel which has 35 modern rooms and suites, each of which is tastefully decorated and equipped with televisions and toiletries among other things. 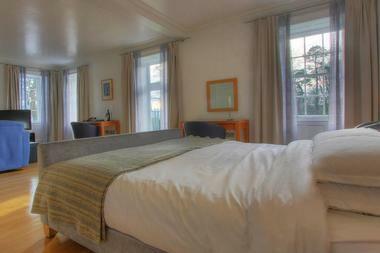 Some of the rooms allow for you to enjoy views of Llandudno Bay directly from your rooms. Other hotel features include 24-hour receptions, a licensed bar, and complimentary WiFi. 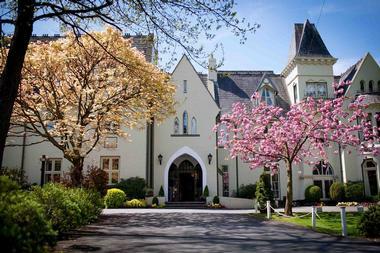 The Twr y Felin Hotel is considered to be one of the best luxury hotels in Wales and has won several awards during its many years of operation. The marvelous hotel is ideal for a romantic vacation or a trip with friends and family. You can experience warm Welsh hospitality while enjoying boutique guest rooms, fine dining, and much more. There are 21 en-suite bedrooms and suites to choose from, each of which is unique and immaculately designed to make the most of the space available. While you’re there keep an eye out for the specially commissioned art pieces created specifically for the hotel; there are over a 100 scattered throughout the property. Llansantffraed Court is a beautiful and relaxing four-star country house hotel that sits amidst the stunning rural area of Monmouthshire, Wales. The hotel is renowned for its high-standard hospitality, incomparable amenities, and great food, which you can try at their in-house restaurant. Many of the original features of the historic building which the hotel is housed in have been wonderfully preserved. You can enjoy the serene atmosphere, relax in the 1-acre walled kitchen garden, or take a walk beside their lake and fountain. There are 21 gorgeous rooms to choose from, each of which offers stunning views of the grounds, lake, or the mountains from afar. 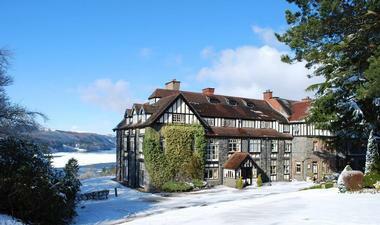 Lake Vyrnwy Hotel & Spa is a romantic and relaxing hotel from which you can enjoy the crisp Welsh mountain air. You’ll be surrounded by panoramic views of the lake, the wooded hillsides, and an iconic fairytale tower. The 24,000 acres which surrounded the hotel and spa is a National Nature Reserve and is so unique and special that you’ll want to spend all your time taking walks and exploring the surroundings. The luxury hotel has three styles of rooms: Garden View Rooms, Lake View Rooms, and Premier Lake View Rooms, the latter of which is the largest and has a fantastic view of the iconic lake. 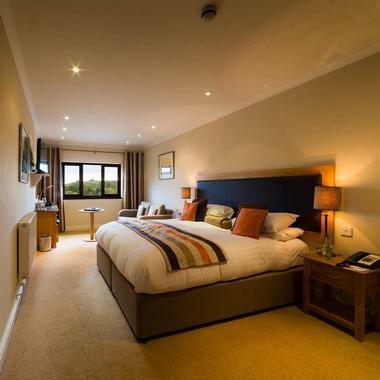 The St Brides Spa Hotel is a stylish and contemporary accommodation which can be found on a cliff top overlooking Saundersfoot in Pembrokeshire Coast National Park. The calm and peaceful oasis is home to stylish rooms which are fitted with luxurious amenities to ensure your comfort, as well as an award-winning spa to rejuvenate both your body and your mind. Most of the rooms have a balcony with a lovely view of the sea; there are also six two-bedroom apartments which are perfect for when you’re traveling as a family and need a separate room for the kids. Hotel Portmeirion is a world of its own comprising award-winning restaurants, casual cafes, exotic gardens, sandy beaches, stylish shops, a spa, a number of historic cottages, and two hotels. You can choose to stay in one of the cottages or hotels depending on your preference and style. The Grade II Hotel Portmeirion is an early Victorian villa which was converted to a hotel in 1925. Though it has undergone many restorations and updates since then, the 14 beautifully designed rooms in the hotel all retain its original charm and offer great views of the surrounding. The St. David’s Hotel & Spa is a stunning hotel that makes a bold statement with floor-to-ceiling windows, glass-fronted facade, and private balconies facing Cardiff Bay’s waterfront. The rooms and suites are intimate, spacious, and may include generous lounge areas, private balconies, White Company toiletries, a selection of local treats, and fluffy bathrobes. Though you may find it difficult, venture out of your room to feast on eclectic foods in the hotel’s in-house restaurant and bar, The Admiral St David. Complete your trip with a rejuvenating massage, treatment, or therapy at the Marina Spa, which has been voted one of the best spas in the UK by Conde Nast Traveller. The King Arthur Hotel is a traditional hotel and country inn that exudes a magical and mysterious vibe. You’ll find the friendly and relaxing family-operated hotel nestled under Cefn Bryn, the highest point on Gower Peninsula. The hotel comprises 18 en-suite rooms, four self-catering cottages, a small barn conversion cottage, a restaurant, two bars, and a breathtaking wedding venue and banqueting hall. The spacious cottage apartments are located right next to the main hotel and is perfect for families, groups of friends, and those who are traveling with pets. While staying at the hotel you’ll be able to see award-winning beaches, and on a clear day, you’ll be able to see past the coastline and over the Bristol Channel all the way to Carmarthenshire. Located within the famous Snowdonia National Park, staying at Joys of Life means that you’ll be surrounded by lush wooded areas and magnificent towering mountains. The country park offers accommodation within the main house as well as in the surrounding cottages. All of the rooms in the main house come with televisions, en-suite bathrooms, tea and coffee making facilities, and much more. The self-catering holiday cottages are a popular option with families and groups of friends who prefer staying together. They offer two cottages, one that can house up to four people, and the other that can house up to 14 people. Glen-Yr-Afon House is a four-star hotel that can be found beside the River Usk in the lovely countryside of Monmouthshire. The family-operated hotel prides themselves on offering all of their guests a personalized experience which enables them to have a relaxing holiday. From guest bedrooms and family rooms to the four-poster bridal suite, each of the accommodations available are full of charm and character. Some of the other amenities you may find in your room include a telephone, flat screen television, DVD player, tea and coffee making facilities, and breathtaking views of the hotel’s lovely garden. The Parkway Hotel & Spa is a privately-owned, four-star, AA accredited luxury hotel that can be found on a lovely 7½ acre garden in Cwmbran. The hotel is fitted with 70 en-suite bedrooms, which includes executive rooms, executive suites, garden suites, and two penthouse suites. Other aspects of the hotel include a banquet hall, an exclusive private members leisure club & spa, and an in-house restaurant which is famed for its three-course carvery. You can spend your time relaxing in the patio garden, enjoying a glass of wine by the log fire, or rejuvenating your body and mind in the comfort of your hotel room or suite. 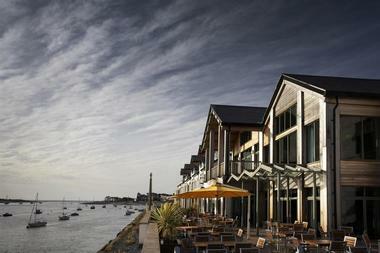 The Quay Hotel and Spa is a meticulously designed accommodation which you’ll find in Deganwy, North Wales. The four-star hotel will transport you to a world of luxury and comfort from the minute you step into their lobby. You’ll be able to take in magical views of Snowdonia National Park, North Wales, and the idyllic Conwy Estuary, all of which are within easy reach from the hotel. 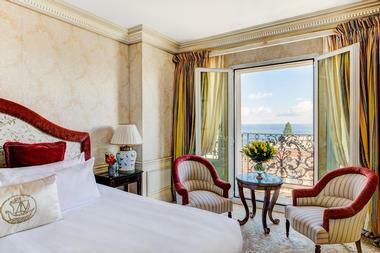 There are 74 rooms and suites to choose from, comprising classic rooms, superior rooms, executive rooms, suites, and penthouses. Each of them has been elegantly styled to enhance relaxation. Treat yourself to a full range of wonderful treatment at the hotel’s spa, which is considered to be one of the finest on the North Wales Coast. 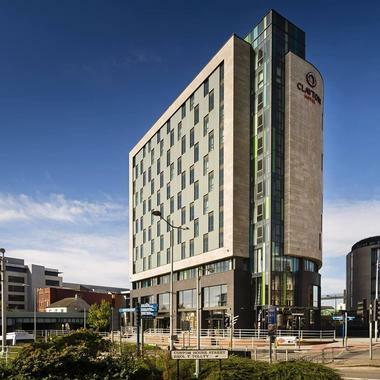 Park Plaza Cardiff is a four-star hotel that can be found right in the heart of Cardiff’s city center, just a stone’s throw away from Cardiff Castle, Cardiff University, St David’s Shopping Centre, and the historic Arcades. The award-winning hotel is luxurious, elegant, and will offer the utmost comfort to guests who are there for business or pleasure. There are 129 guest rooms to choose from, and a superb range of facilities such as an award-winning restaurant and bar, luxury spa and fitness facilities, and much more. 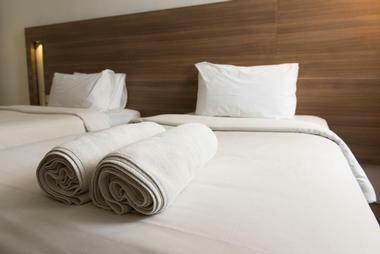 Other hotel services include 24-hour room service, express check-in and check-out, guest laundry service, and baggage storage among other things. The Clayton Hotel Cardiff is one of the most centrally located hotels and you can find it right in the middle of Cardiff’s city center. It’s a great base for tourists and visitors who are planning on adventuring out into Cardiff’s most iconic sites, as most of them are just a short walk away. You’ll also be within walking distance to some of the city’s best shopping and business attractions as well as the central train and bus stations. There are six different styles of rooms and suites, including handicap accessible rooms for those who may need amenities such as power-assisted doors, lowered baths, spacious wet rooms, or 24-hour assistance. 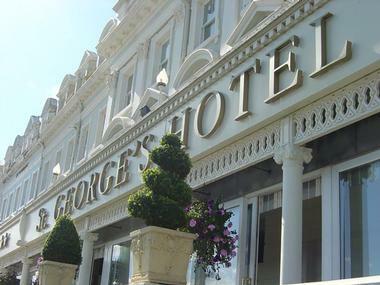 St. George’s Hotel is a four-star accommodation that can be found in Llandudno, alongside the North Wales Coast. Often described as North Wales’ most historic sea front hotel, the space seamlessly blends modern comforts into the traditional Victorian elegance of the hotel. There are 81 elegantly decorated bedrooms to choose from, each of which are fitted with an LCD smart television, a work desk, individual temperature control, luxury toiletries, tea and coffee making facilities, and much more. Hotel facilities include 24-hour room service, early check-in/ late check-out, free internet, and access to their terrace lounge. 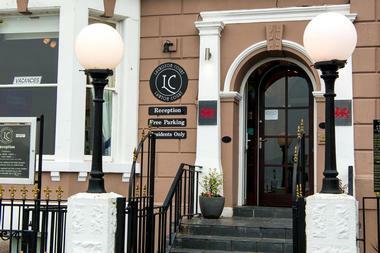 You can feast on their award-winning Welsh cuisine at the in-house Terrace Restaurant during your stay. The Metropole Hotel opened its doors in 2004 and was quickly recognized as one of the most distinguished contemporary hotels in the area. 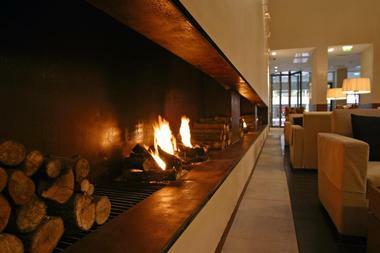 The hotel has a modern, yet mysterious, atmosphere which reflects on the character and rich history of the area. There are four styles of rooms and suites, each of which have been meticulously put together to ensure guests receive the best amenities during their stay. The Signature Suites are located on the top floor of the hotel and comprise a separate living area, a terrace with private sun loungers, a walk-in wardrobe, and much more. 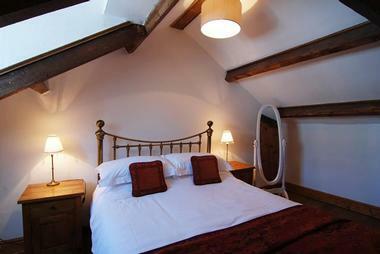 The Castle Hotel is an old coaching inn in Wales which offers four-star town house standards in all 29 of its bedrooms. The hotel stands on the site of Cistercian abbey and can be found within the UNESCO World Heritage walled town of Conwy. You’ll love the boutique style hotel that has a unique decor and style you won’t find anywhere else. Its most famed aspects are the personalized service that all guests receive as well as the fresh and delicious food. Start your day with a delicious breakfast served in their restaurant and end it with a glass of refreshing hand-pulled beer at the Castle Hotel. 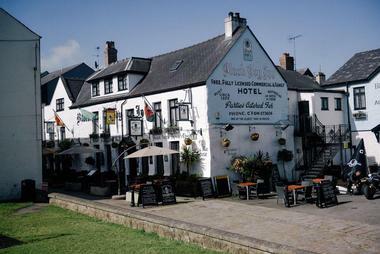 The Black Boy Inn in Caernarfon has been welcoming visitors and travelers from all over the world since the 16th century. You’ll find yourself in the perfect base from which to explore your surroundings and the stunning region of Snowdonia. 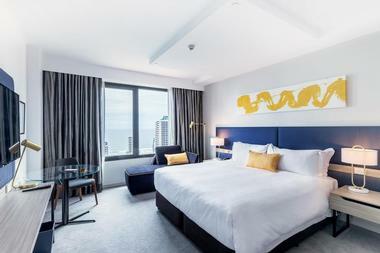 There are 39 comfortable guest rooms to choose from, each of which are individually styled and furnished to make the most of the space that surrounds them. The in-house restaurant, which is located on the ground floor and open to the public, is a wonderful place to meet locals and make new friends while feasting on dishes carefully concocted from local ingredients. 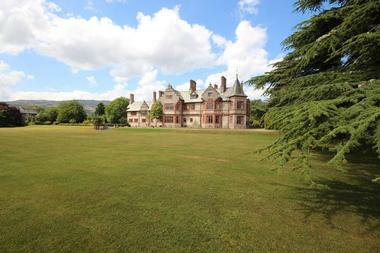 The Lake Country House & Spa is a manor house hotel which sits on the banks of numerous lakes and the River Irfon. The luxurious accommodation offers a complete retreat, from which you’ll never want to leave. Relax in the beautifully appointed rooms, each of which are individual in style and decor, or indulge in a rejuvenating massage or treatment at the spa. 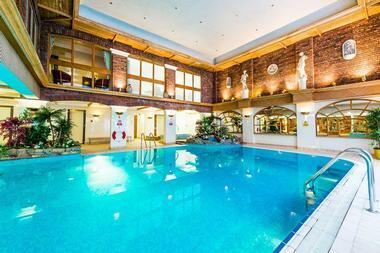 Features other than the lakeside spa includes a fitness suite, swimming pool, and amenities for popular activities such as tennis, golf, and fishing. If you’re travelling with your fur family, you’ll be glad to know that their Junior Suites are pet friendly and open directly onto the grounds. Chateau Rhianfa offers a real life fairytale setting in which you can have a romantic holiday with your significant other. The award-winning hotel and event venue isn’t just your average country house hotel - located in the heart of North Wales, it is an incomparable unique and creative space. There are thirty beautifully designed rooms which enable you to bring your fairytale to life; choose to stay in one of the stylish bedrooms or one of their luxury self-catering cottages. Spend your time at the hotel exploring the dramatic landscapes which surround you, unwinding in their award-winning restaurant, or taking a day trip to the nearby hills of Snowdonia. 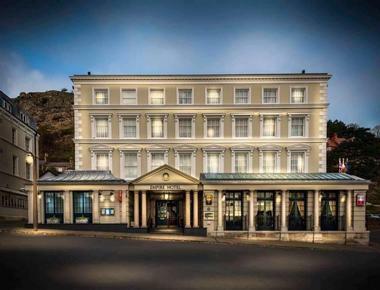 The Empire Hotel Llandudno is a wonderful hotel which consists of a main building with 54 rooms and a separate building next door with eight large rooms. You can choose to stay in a room or suite that suits your style; all of the rooms have amenities such as individual temperature control, a television, refrigerator, personal room safe, tea and coffee making facilities, complimentary WiFi, and free car parking. Other aspects of the hotel which you’ll love making use of include indoor and outdoor heated swimming pools, whirlpool, sauna, steam room, spa, gym, bar, and two in-house restaurants. The Llandudno Bay Hotel is a part of the Whisper Hotels range and can be found on the famous promenade offering stunning panoramic views of the bay. 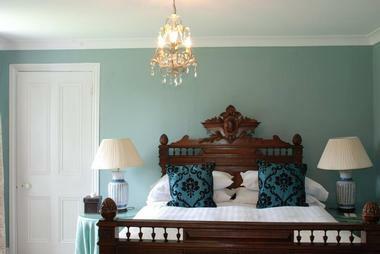 The tastefully designed hotel seamlessly combines modern comforts with traditional Victorian elegance. There are 61 rooms and suites to choose from, each of which boasts beautiful views, en-suite baths, flat screen televisions, tea and coffee making facilities, complimentary WiFi, and much more. The hotel is the perfect base from which to explore the countless attractions and activities which are available there such as taking a tram ride through Great Orme Country Park or exploring the Great Orme copper mines. The Wolfscastle Country Hotel and Restaurant is a gorgeous space which is reputed for its amazing service, marvelous rooms, and carefully concocted cuisine. The in-house Allt yr Afon restaurant has been awarded 2AA Rosettes for culinary excellence and an intimate Victorian style dining atmosphere. In addition to eating the delicious concoctions from the kitchen, you can also spend your time at the hotel relaxing in your room which is sure to be fitted with luxury amenities to ensure comfort. Their spa focuses on offering therapeutic and cosmetic services which are sure to rejuvenate you. Activities you can participate in in and around the hotel include fishing, cycling, kayaking, and much more.